We've released an update to the ViewRanger BuddyBeacon webpage that enhances the permissive tracking of friends and family on the web. ViewRanger BuddyBeacon is a great way to share your outdoor adventures; charity events; or just to stay in touch when you are out in the field. 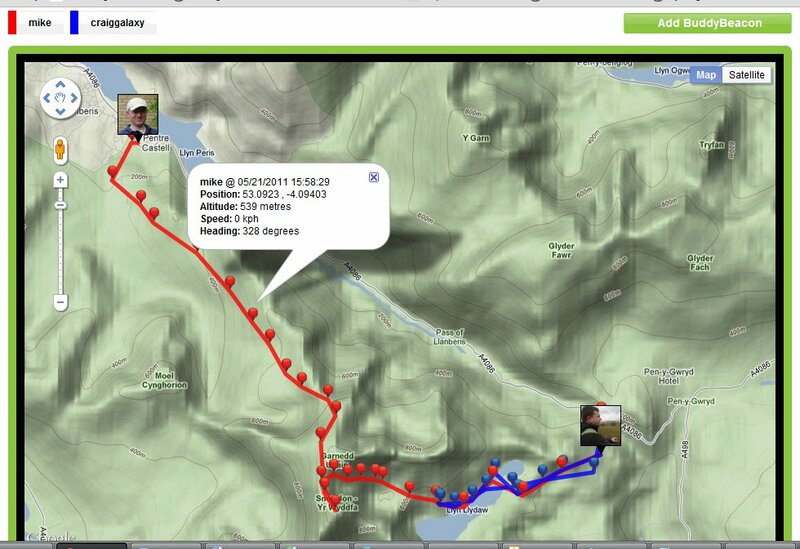 (Don't forget you can also track friend's BuddyBeacons directly within the ViewRanger app). You can add and follow more than one BuddyBeacon at the same time; making it simple to track groups. The webpage's URL can be copied to share links to BuddyBeacon pages - ideal for setting up a page for an event or activity. You can also share links to your BuddyBeacon pages via Facebook and Twitter. You can see altitude and speed graphs. 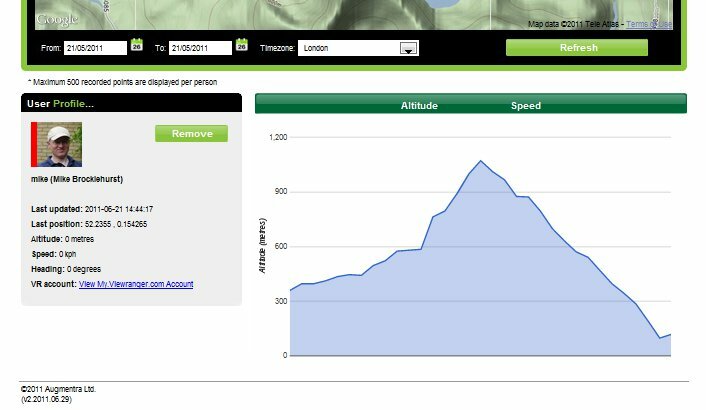 The graph shown in the image below shows an ascent/descent of Snowdon as part of our participation in the Snowdon100 event earlier this year. We've made some changes to the icons and page layout. The profile image from your http://my.viewranger.com account will be used as your BuddyBeacon image. You can set the time window over which you want to view a recorded track, and customize the local viewing timezone. 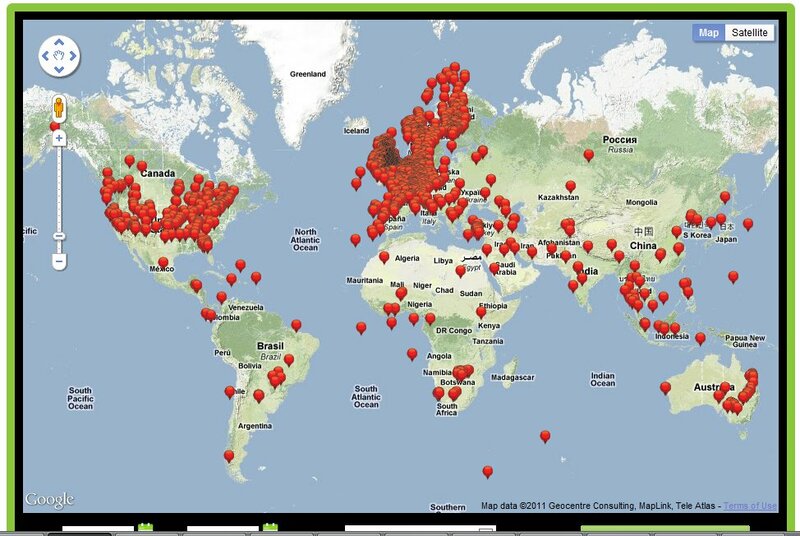 The ViewRanger BuddyBeacon homepage shows the (anonymous) latest locations of a selection of BuddyBeacon users around the world.